Lil' Boy is just an ordinary child growing up on his father's farm in a little place called Creek Town. But in the 1960s, even the most average black boy had something to worry about. All Lil' Boy wants is to wear his bright red hat, have some fun and adventure and get out of doing his chores. Then, one day, everything changes. After he is attacked with rocks being thrown at him by several angry men driving their truck along the road, Lil' Boy makes a promise to himself: when he gets older, he will own that road, and no one will ever throw rocks at him again. It's a long journey, but before long, Lil' Boy is deep in the heart of politics and on his way to greatness. 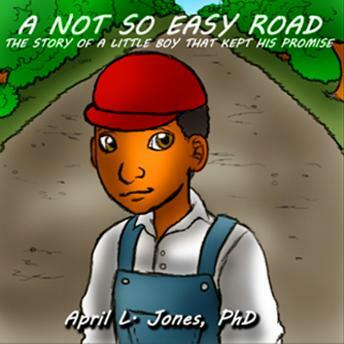 A Not So Easy Road tells the story of Commissioner Mose Jones Jr. and will inspire any child looking to make a difference in their home, community, school, or country.